The content you are trying to access is available only to members. 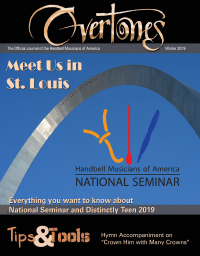 You can join Handbell Musicians of America quickly and easily for as little as $9/month and get access to all online content, the print version of our journal, Overtones, and access to mentors, chime loan programs, event scholarships, grants, and more. So…What is it You Do?